Golden Globe and three-time Emmy Award-winner Debbie Allen will be honored with the Lifetime Achievement Award at the 42nd Annual Gracie Awards Gala. The event, hosted by The Real’s Jeannie Mai, will take place on June 6 at the Beverly Wilshire Hotel in Beverly Hills, CA, the Alliance for Women in Media Foundation (AWMF) announced today. Ms. Allen’s daughter, Vivian Nixon, and Grey’s Anatomy co-star, Jesse Williams, who plays the role of her son, will make the presentation. The Gracie Awards will continue in its tradition of honoring outstanding individual achievements and programming by, for and about women in television, radio and interactive media. Ms. Allen’s vast body of work as a choreographer, actress, director and producer has helped shape the entertainment landscape into what it is today. Defining history and shattering barriers for women of color in the media, Allen is known for being the first African-American woman to win a Golden Globe for “Best TV Actress in a Musical Comedy or Series” in 1983 for her role in FAME. Allen’s creative force on and off the screen has influenced legendary acts from the likes of Whitney Houston, Janet Jackson, Will Smith, Phylicia Rashad, Gregory Peck, Mariah Carey and Queen Latifah, among many others. The multi-faceted entertainer is also known for her producer and directorial work in Scandal, How To Get Away With Murder, Jane the Virgin and Grey’s Anatomy. 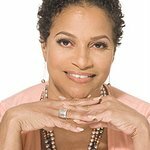 In 2001, Allen founded the non-profit Debbie Allen Dance Academy in Los Angeles, where she continues to inspire youth who have a passion for dance and performance technique. The Real’s Jeannie Mai will host the gala, where AWMF will celebrate female luminaries including honorees such as America Ferrera, Drew Barrymore, Samantha Bee, Mariska Hargitay and Sandra Bernhardt plus outstanding media and programming including LennyLetter.com, This is Us, Hairspray LIVE! and Call the Midwife. Executive Producer and Television Personality Jeannie Mai has spent the past 11 years doing what she is most passionate about – empowering women to become their most beautiful selves. She is best known as the host of the two-time Emmy nominated daytime talk show series The Real airing every day on Fox, and the twice Emmy nominated television series, How Do I Look. Additionally, she is the executive producer and host of Asia’s current number one makeover series How Do I Look Asia, and the stylish correspondent on Entertainment Tonight, The Insider, Extra, E News and NBC’s Fashion Star. Gracie Awards Gala tickets are available for purchase at the Alliance for Women in Media Foundation’s website, allwomeninmedia.org/gracies. National Gracie winners in television, radio and interactive media are recognized at the Gracies Gala in June while top local media, and student winners are recognized at The Gracie Awards Luncheon, June 27, 2017 at Cipriani 42nd Street in New York City.